This is a free online multiplayer game (from Jelly Button Games) that tests your board and dice gaming strategies, skills and luck, as you play in a variety of challenges. 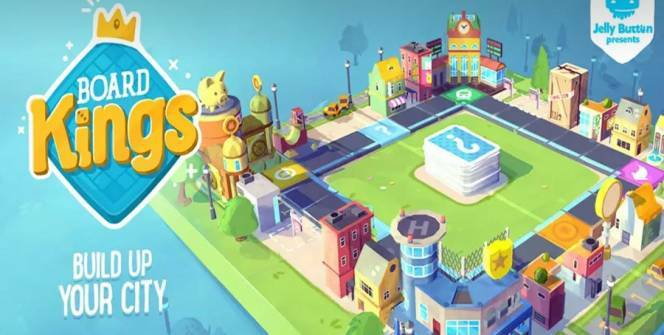 You are expected to build the greatest city for your bunnies using coins earned by rolling the dice and traveling around the board. The same coins are also used to upgrade or develop buildings and make even more money or unlock stronger defenses. 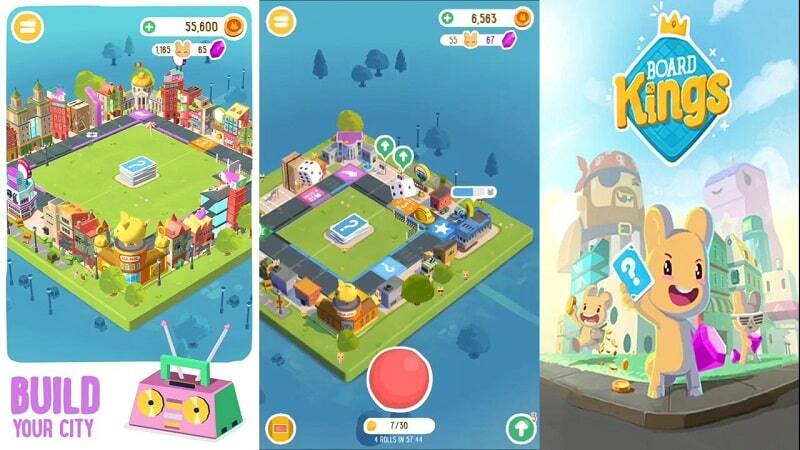 In this article, we provide you with more information about this casual mobile game, and we walk you through a step-by-step guide on how to install it on Windows 7/8/8.1/10/XP and MAC desktop/ laptop. Once you enter into the Board Kings arena, you’ll see the board and dices placed within it. Select the idol/hero with whom you want to play with and then throw the dice by tapping on the dice button located on the software’s interface. The rolled dice results will then be displayed and will help determine where you go. Just follow directions and expect to earn lots of coins on your way. Note: You’ll have a limited number of dice rolls that you can make. Once exhaust all the initial runs, you’ll have to wait for several minutes to get new ones. But you shouldn’t be worried since there are many other ways to get runs such as drawing cards from the decks. As mentioned above you’ll be building a great city for your bunnies using coins. The more you build and develop the city, the bigger the board becomes and the more rabbits you’ll have. Expand your bunny population and climb up the leaderboards. If you are lucky enough, you may land on bonus tiles and win special features for your board as well as impressive rewards & boost. These include extra coins, extra police cars, etc. It’s always a win that provides you with a chance to have more than your friends. You’ll need to land on the “Police Station” to protect your city from invasion by other players, strangers and other unwelcome mischiefs. Upgrade the police station to deploy more police cars. Land on “Steal tile” and win your friend’s coins. In case you don’t find the wealthiest city, you shouldn’t be worried since you’ll earn other peoples coins as well. Steal coins by breaking others’ piggy banks. Note: You should always watch out for the police or else, you might get thrown in jail. To be free, you’ll have to pay the fine or throw a double. The game is free to play, but you can purchase additional items with real money. It lets you upgrade your board and invade other’s boards to steal some cash. If you have any suggestion/ new ideas or if you are experiencing any problems, you can contact the developers via the in-game support feature. Board Kings is an addictive and fun game. However, traveling around the city on a small mobile screen can be challenging, especially with the small spaces you have to see. 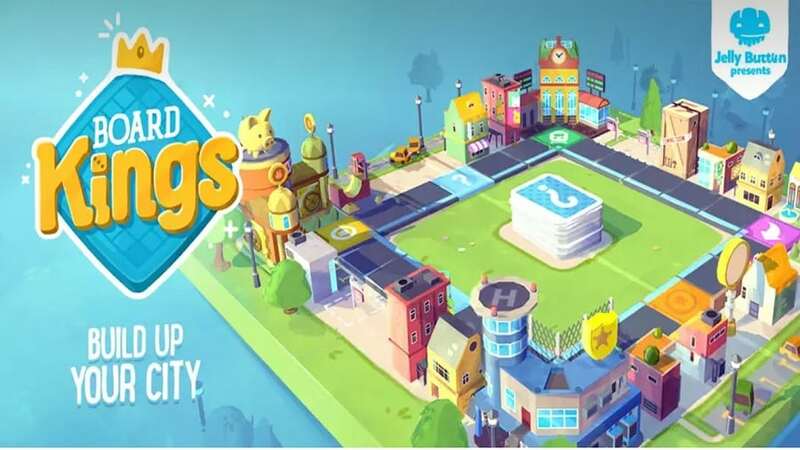 But when you decide to install Board Kings for PC, you’ll be able to increase the playing field and see the whole city in all of its bunny glory. Also, you’ll never have to worry about cables or finding your mobile device. Download Board Kings for PC on your laptop or desktop and enjoy everything that the game has to offer. Sometimes when playing Board Kings, bluestacks ask you fee to pay but gives you option to download some apps. Every time it asks you just select “Install apps” and continue using it free. I hope you enjoyed this article, please rate and share. If you have problems running Board Kings on your desktop or any other issues, leave a comment below.